1) Work on your business after hours while you still have a job. Unless you have a major amount of funding, please don’t leave your job to work on your business full-time without testing it out for at least a year. We all know that most businesses fail. Working from 5am – 7am or 9pm – midnight is plenty of time to see if your business can gain traction. 2) Refinance or get a mortgage before you leave your day job. Once you lose your W2 income, you are deemed too risky for banks. Only after you have at least two years worth of 1099 (freelance) income will banks consider you a creditworthy candidate. Despite having a significant amount of assets, one of my refinance attempts got rejected in my early years post work. You may also consider taking out a line of credit, such as a HELOC. Readers, any of you thinking about leaving your day jobs to do something entrepreneurial? Existing entrepreneurs, what are some things you wish you did before working on your business full-time? 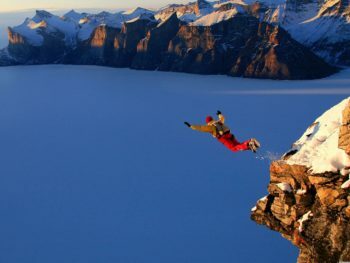 The post What If You Take A Leap Of Faith And Your Dreams Don’t Come True appeared first on Financial Samurai.